On the upper left portion of your citation, it states “Appearance Required:” YES or NO. Failure to appear for a mandatory appearance may result in a warrant being issued for your arrest. WHEN AND WHERE IS MY COURT DATE? The date, time and location are indicated in the upper left hand corner of your citation. 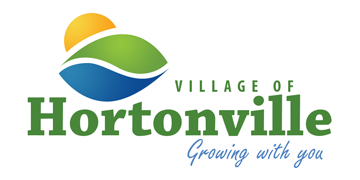 Most traffic and ordinance violations are scheduled for the Hortonville Municipal Court. Criminal traffic citations are referred to the Outagamie Count Circuit Court. The address of the court is provided on your citation. WHAT IF I AM NOT ABLE TO APPEAR AT MY SCHEDULED COURT DATE/TIME? You must contact the Court PRIOR TO COURT to reschedule. If you fail to appear and fail to contact the court, a default judgement will be entered against you and you will be mailed notification in the mail. WHAT DOES IT MEAN TO PLEAD: GUILTY, NOT GUILTY or NO CONTEST? GUILTY: A guilty plea is an admission of the charge you were given. It is an acceptance of the charge as is. This also means that the charge could be used against you civilly. NOT GUILTY: If you plead NOT GUILTY, you will be scheduled for a pre-trial telephone conference with the Village of Hortonville Prosecuting Attorney Amy Menzel. This conference is conducted to try to come to an agreement/settlement. If an agreement/settlement is not met, then there will be a trial. NO CONTEST: This plea means that you are not contesting the charge. If you are involved in an incident where you could be charged civilly, the plea of no contest in this court may not be used against you in any other court. This plea can be used for any charge that in our Court. Drop off your payment (cash, check, money order) in the “Drop Box”. It is open 24 hours a day/7 days a week at the Municipal Building, 531 N. Nash Street Hortonville 54944. It is located in the entrance to the police department on the right hand side. A RECEIPT WILL ALWAYS BE GIVEN FOR PAYMENTS THAT ARE MADE WITH ANY OF THE ABOVE PAYMENT OPTIONS. OUR COURT PREFERS THE PAPERLESS OPTION BY SENDING RECEIPTS VIA EMAIL . IF AN EMAILED RECEIPT IS OK, BE SURE TO INCLUDE YOUR EMAIL ADDRESS WITH YOUR PAYMENT. IF NO EMAIL IS LISTED, A RECEIPT WILL BE MAILED TO THE ADDRESS THAT IS ON FILE. WHAT IF I CAN’T PAY MY ENTIRE FINE AMOUNT?